I know I probably discussed this last year, but it still surprises me that people truly think they can’t wear white after labor day. I seriously cringe when comments and statements are made about it being a fashion faux pas. Hello people!!! It is 2015!!! While there are several theories on how and why this “rule” came about, most believe it was created for no reason other than to distinguish different economical and social statuses – to separate the rich from the poor. Regardless of the reasoning, this is going back to the late 1800s – early 1900s. Again, it is 2015!!! White is classy, modern, fresh, and more than appropriate to wear 365 days of the year. When the seasons change, the colors of your wardrobe should be modified to some degree, but for me, the type of fabric and style of the item comes more into play when deciding if it’s suitable to wear. For example, neon is mostly associated with Summer, but I’ve worn a chunky neon yellow cable knit during the Winter as well as a neon pink blouse peeking out of a black or grey sweater. I could literally wear black every single day, but would never wear black linen pants in January [because I would never wear linen in the Winter unless I was on a tropical vacation]. Just like I would never wear white wool in the Summer [duh]. I could give tons of examples, but hopefully you get my point and I can stop ranting. 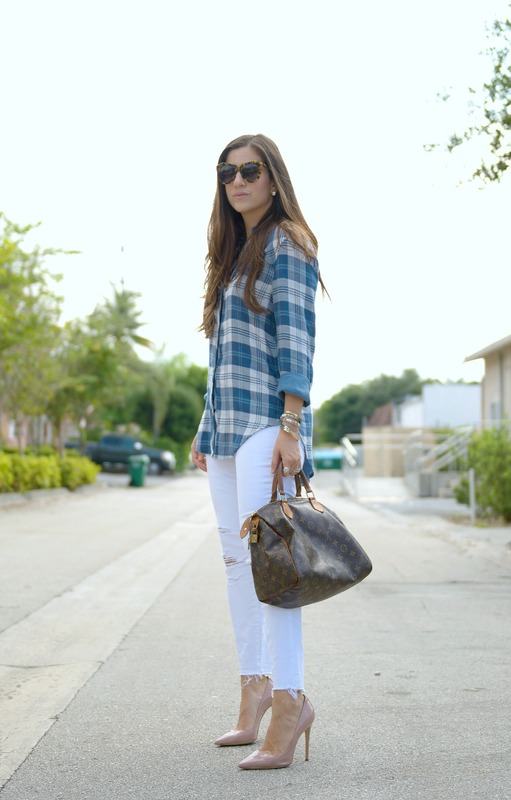 So now that we’re all on the same page, this is one way to style your white jeans this time of year. I have literally worn these distressed skinnies every week since getting them months ago and they are currently on sale! 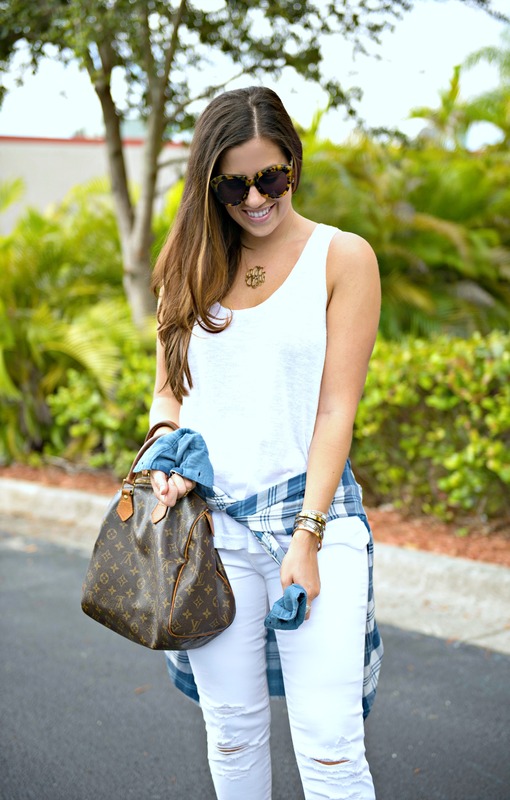 I know white denim is an item you probably have no intention of purchasing right now, but I promise you you will get so much use out of them! Even in the Winter, they’ll look great with oversized, comfy sweaters and booties. I have so many outfits in mind that incorporate these jeans. At least I’m getting my money’s worth! !